In a bottle of Vape Breakfast Classics Deluxe French Dude e-juice French toast flavor meets with fruity cereal creating a mouth-watering concoction. In addition, you will taste fluffy whipped cream and a hint of sweet maple syrup. 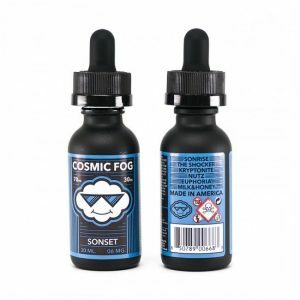 Searching for a delicious vape juice which will please your taste buds? Want to try something new and unusual? Vape Breakfast Classics brand presents Deluxe French Dude e-liquid especially for you. It is an e-juice impossible to resist. In a bottle of Vape Breakfast Classics Deluxe French Dude sweet e-juice French toast flavor meets with fruity cereal creating a mouth-watering concoction. In addition, you will taste fluffy whipped cream and a hint of sweet maple syrup. It is well-balanced creamy and fruity sweet treat. A nice option for all-day vaping. An 80/20 VG/PG ratio means that you will be able to make large vape clouds. Suitable for cloud chasers. Also, there are 3 nicotine levels to choose from. Nicotine free, 3mg, and 6mg. By the way, this delicious blend is available in a large capacity bottle – 120ml. It has an attractive funny design. In sum, Vape Breakfast Classics Deluxe French Dude is a good option to add sweetness and enjoyment to your day vaping experience.